Light is time is an installation born from the collaboration between the architect’s creative flair Tsuyoshi Tane of DGT Architects, the Parisian architectural firm of international reputation, the Citizen Design Team, known watch brand, and Yutaka Endo LUFTZUG, who handled the lighting and sound. It was presented for the first time in Milan - the installation consisted of 80,000 “main plates “, the structural device that supports all components of a watch, which fluctuate in a vacuum in one room with black walls, as if they were sparkling raindrops. 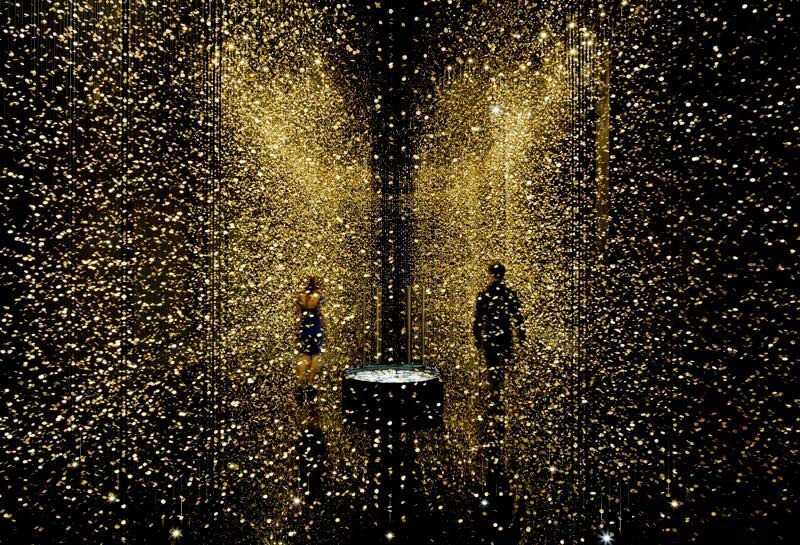 You can find video walk-through of this ethereal installation in the video below.